During his postgraduate training he developed an interest in advanced ultrasound techniques becoming certified by the American College of Surgeons. After his post graduate surgical training, Dr. Rotgans underwent advanced fellowship training in ultrasound and fluoroscopy guided percutaneous vascular techniques at NYC Surgical Associates in New York City. He pursued an additional fellowship at NYC Surgical in body contouring undergoing advanced training in all forms of liposuction and procedures for the massive weight loss patient. His academic and research interest include minimally invasive techniques in endovenous surgery. His clinical interests include the full spectrum of endovenous techniques for all venous disorders, including embolization and ablation, as well as body contouring procedures. 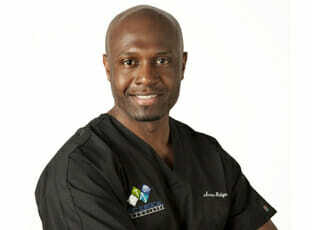 Dr. Rotgans speaks fluent English and Dutch and some conversational Spanish and is licensed in New York. Outside of medicine he enjoys soccer, fitness and chess.